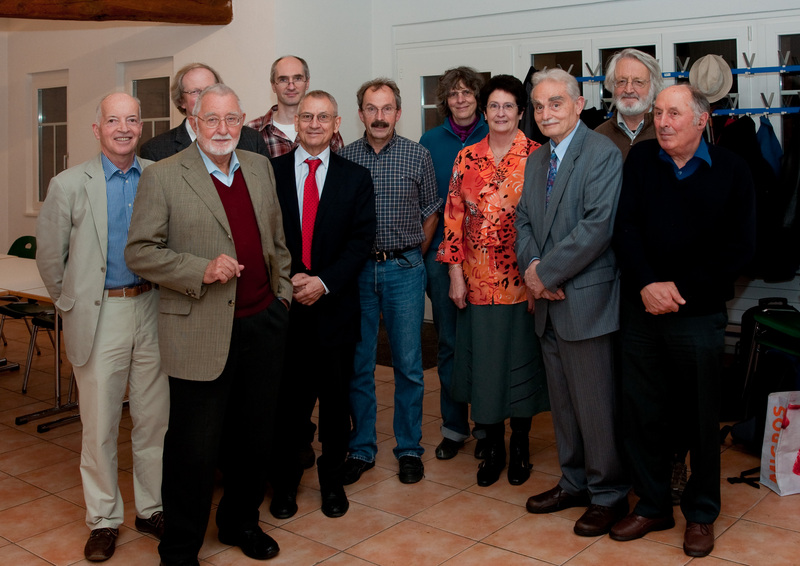 Click here for a photograph of a meeting of the Past Presidents (including the incumbent committee) on the occasion of the leave of Mrs. Louise Wolf, on November 19, 2009, in Fribourg. Mrs. Wolf took care of the SMS office for over 30 years. The picture shows, from left to right: Alain Robert, Viktor Schroeder (rear), Heinrich Kleisli (front), Norbert Hungerbühler (rear), Rolf Jeltsch (front), Peter Buser, Christine Riedtmann, Louise Wolf, Harald Holmann, Gerhard Wanner, François Sigrist.